Dr. Kimberly was originally on the road toward becoming a medical doctor, but her mom asked her to speak with her own chiropractor first. While waiting on her medical school exam scores, she did just that. After being mentored by that doctor of chiropractic, Dr. Kimberly realized that pursuing the same doctorate would help her to best meet her goal of helping people. Learning what true health is, and helping her own extended family, are just a couple of the benefits she hoped to gain. Now she extends the same conviction and passion with every person she meets, in our office and beyond. What are some of Dr. Kimberly’s goals in chiropractic care? Focusing on true wellness care as distinct from sickness care. Meeting a person where he or she is, and helping them toward health, non-invasively. Empowering patients to change their lifestyle for the better. With three children of her own, she aims to help parents make the right decisions regarding their children’s health and wellness. She understands the emotional aspect of how a parent feels when their children are in pain. You can trust her with your care and your children’s care! Dr. Kimberly graduated from the University of South Carolina’s pre-med program, then graduated from Palmer College of Chiropractic in Davenport, Iowa. At Palmer, she was awed to hear more about the marvel of the nervous system. Another bonus from her time at Palmer was that she met her husband, Dr. Justin, there. Dr. Kimberly received additional training in chiropractic pediatrics and has a passion for educating pregnant mothers and children about the benefits of making healthy lifestyle choices early in life. 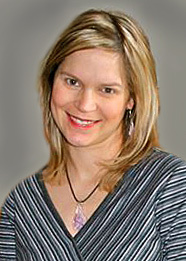 She also specializes in treating fibromyalgia and in performing cranial-sacral therapy. Dr. Kimberly is mostly raising her boys and has a very limited schedule in the office. She loves to read and dance, having been a dancer for years. Most importantly, she loves her husband and boys and loves family-oriented activities like swimming, hiking, or going to the beach–in South Carolina!